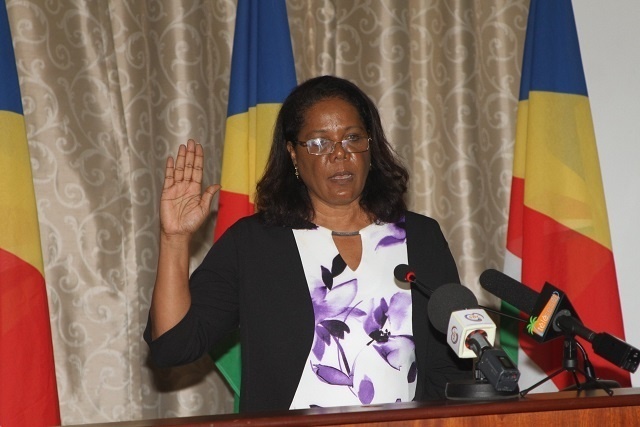 (Seychelles News Agency) - The chairperson of the Seychelles’ Electoral Commission, Luciana Lagrenade, has resigned five months after her appointment, State House said on Wednesday. Lagrenade, who was appointed by the President of Seychelles, Danny Faure, was sworn in as the chairperson of the Electoral Commission on August 3, becoming the first woman to occupy the post. SNA spoke to Lagrenade who said that she resigned for medical reasons. Presidential and Parliamentary elections in Seychelles, an archipelago in the western Indian Ocean, are held every five years. The next presidential election is due in 2020 with parliamentary elections due in 2021. In accordance with Article 115C (3) of the Constitution, the office of the chairperson of the Electoral Commission is now vacant. State House said that the President’s Office has informed the chairman of the Constitutional Appointments Authority to undertake the necessary procedures for nomination. Suitable candidates will be submitted to the President. Lagrenade and other members of the new Electoral Commission were appointed last year following recommendations of the Constitutional Appointments Authority. The commission comprises a chairperson and six other members who are appointed for a seven-year term as per Article 115 of the constitution. The Electoral Commission of Seychelles is the body that organises, oversee and regulate political elections in the island nation. It is also in charge of registering political parties in Seychelles. In December last year during Lagrenade’s tenure, the President approved the amendment to the Elections Act which makes provision to employ a permanent chief electoral officer. Lagrenade had told reporters that the amendment will ensure separation of powers between the board and the secretariat. The post for the chief electoral officer is being advertised and once recruited the chief electoral officer will serve a mandate of three years in office.